A trust is a legal instrument, created by a settlor, in which property is held by a trustee for the benefit of another party, known as the beneficiary. Trusts can be living -- effective during the settlor's lifetime; or testamentary -- part of the settlor's will and effective only after his death. A revocable living trust is one in which the settlor reserves the right to revoke or modify the trust at any time. Note that a testamentary trust is always revocable during the settlor's lifetime. A revocable trust is commonly used as an estate-planning tool to avoid probate, the legal process for determining the validity of a will and distributing a decedent's assets. Probate can be expensive, time-consuming and complicated. A revocable trust typically avoids the probate process because once property is placed in a trust, it is no longer considered part of the settlor's estate. An irrevocable living trust is a trust the settlor no longer has the authority to revoke or modify. The settlor has, in effect, given up her property. The inability to control your property is the clear disadvantage of an irrevocable trust. However, certain situations may warrant the use of such a trust. For example, an older person may transfer his property into an irrevocable trust before applying for Medicaid in order to satisfy certain property limitations. Another reason may be to avoid federal estate tax. Once the property is transferred into an irrevocable trust, the property is titled to the trust itself, not in the settlor's name; therefore, upon the settlor's death, the property is not subject to estate tax. A charitable trust is a trust that is established for the benefit of a charitable beneficiary. The laws governing charitable trusts differ from those governing non-charitable trusts. In general, charitable trusts enjoy benefits that non-charitable trusts do not. This includes tax breaks and the ability to have a perpetual existence. However, if the purpose of a charitable trust becomes impossible, the legal doctrine of cy-pres will operate to select another charitable purpose which is as close to the original charitable purpose as possible. There are numerous trusts created to fit specific situations. For example, a spendthrift trust prevents beneficiaries from voluntarily or involuntary spending or pledging benefits before they are received. This means, in part, that creditors of the beneficiary cannot force the trustee to distribute trust property. A special needs trust is designed to prevent a beneficiary with a disability from losing access to essential government benefits, like Supplemental Security Income or Medicaid. A bypass trust transfers the settlor's assets to a spouse in a way that limits, or bypasses, certain taxes, such as the estate tax. What Happens to a Trust When No One Is Named As a Beneficiary? Trusts are popular estate planning tools because they allow heirs to avoid probate court proceedings. A trust is created by a party called a settlor who transfers to a trustee legal title to any assets he places in the trust. Generally, trusts must name ascertainable beneficiaries in order to be valid. Some exceptions exist to the ascertainable beneficiary requirement. By setting up a trust, you can place assets under the control of a trustee, for the benefit of another person, whether an adult or a minor. A trust has several advantages for the beneficiary and the person who sets it up: The trust does not have to go through probate when the grantor dies, and -- depending on how it's set up -- it allows the grantor to avoid taxes on income generated by the trust assets. There are several different types of trusts that can benefit a child who's not yet ready to handle financial responsibilities. 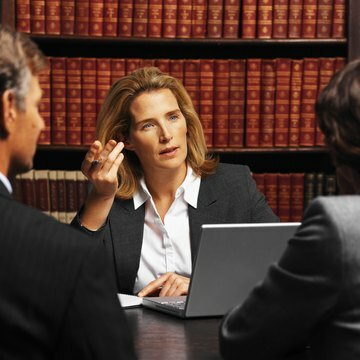 What Are the Disadvantages of an Irrevocable Trust? Does an Irrevocable Trust Automatically Terminate Upon a Certain Date?